Disclosure: We received a gift card to TJ Maxx to purchase the items we featured in this post. All opinions are our own. I thoroughly enjoy decorating my home to celebrate the fall season. Bringing the rich, vibrant colors of the changing leaves into our home, as well as rich aromas of apple pies and roasted pumpkins brings a spring to my step. I recommend that we all slow the calendar down a bit, and embrace autumn with a little decorative flair before the holidays are upon us. 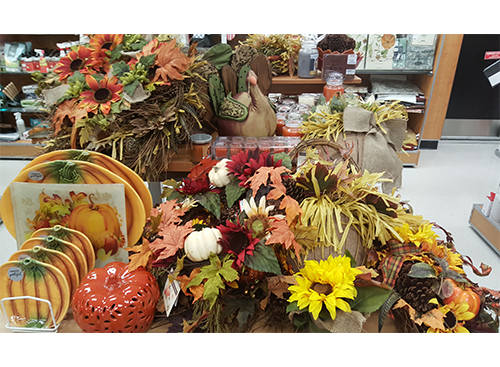 At TJ Maxx, find a harvest of autumn-inspired home goods at value-driven prices. I made a trip to my local T.J. Maxx, and loved seeing all the fall home décor on display. If you enjoy decorating for Halloween, you have met your match in T.J. Maxx! Cauldrons and jack-o-lanterns adorn the aisles, with something spooky to suit every style. Make your home Halloween-festive, or transform it into a full-on haunted house for trick-or-treaters and guests. 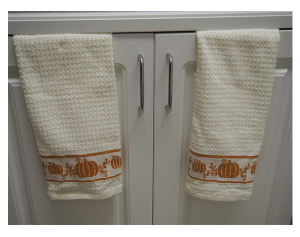 Fall-inspired dish towels prove an easy decorative kitchen pick-me-. 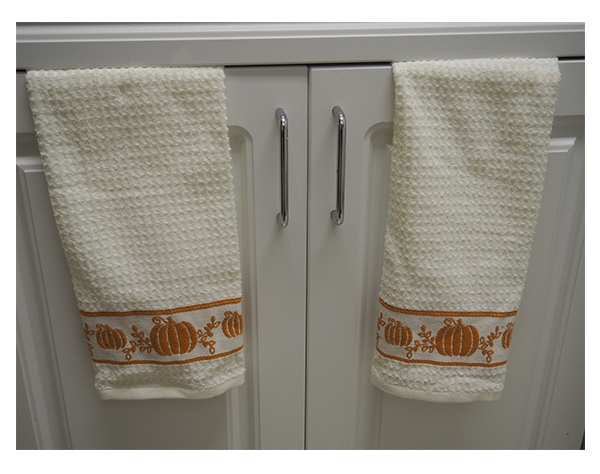 I love these from Casaba with tasteful pumpkins – simple enough to not be too much of a distraction from your current home aesthetic, while offering a cheerful fall-inspired touch! One of my favorite finds was this autumn leaf-shaped bowl from Olfaire. 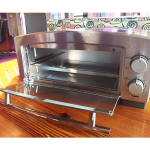 I love apple picking in the fall, and will use this to display the apples I pick. Also great for pumpkin-flavored treats, or even just a decorative centerpiece. For $12.99, it proves an easy decision and a great investment for fall. I also browsed T.J. Maxx’s website, where I found a beautiful 16-piece scroll dinnerware set from Waverly. 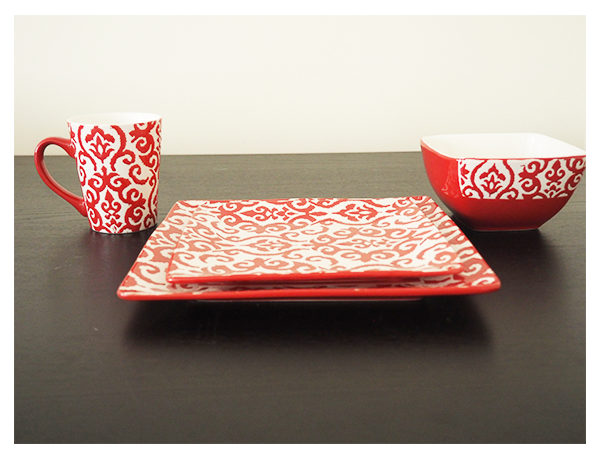 I love the red colors for fall – perfect for fall entertaining. At only $39.99, I find this a great value! I have seen comparable sets for three times the price. 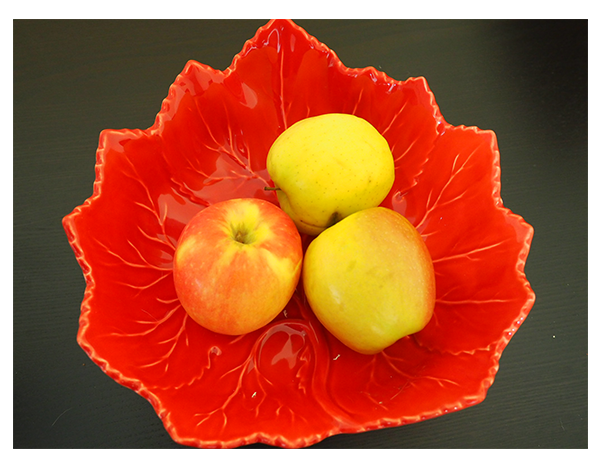 These pieces can be stacked into the dishwasher with ease, and will spruce up my table with beautiful vibrant color for fall. Visit your local T.J. Maxx to find your favorite fall inspirations, or check out their website to browse for the latest items for the home!